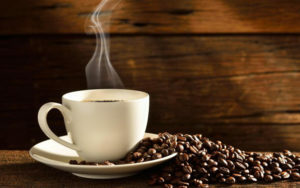 The city will be hosting a Comprehensive Plan CoffeeTalk, Monday, April 17, from 8 to 9 a.m., at the Winter Park Welcome Center located at 151 W. Lyman Ave. CoffeeTalks are traditionally informal meetings for the public to attend and speak to city leaders in a casual setting to “espresso their thoughts.” This CoffeeTalk will be a similar format, however, will focus exclusively on questions related to the Comprehensive Plan. On December 12, 2016, the City Commission approved the transmittal of the Comprehensive Plan to the Florida Department of Economic Opportunity (DEO). The DEO completed its review and submitted its Objections, Recommendations and Comments (ORC) Report to the city February 24, 2017. City staff will begin CoffeeTalk with a brief presentation of the ORC report and provide an update on the next steps, with the remaining time open for questions and answers. The City Commission has scheduled its second public hearing for Comprehensive Plan adoption Monday, April 24, 2017. For more information regarding the proposed Comprehensive Plan elements, the adoption process timeline, revisions, and DEO ORC report, please visit cityofwinterpark.org/comp-plan. Next story Oh Citrus, Where Art Thou?